Average 4.6 / 5 out of 48 total votes. Zhang Ye was originally a mundane college graduate with aspiring dreams to become a star, but unfortunately has below average looks and height. However one day, he woke up and suddenly found himself in a parallel world! It’s like the same world, but wait a minute…many brands, celebrities and even famous works from his world changed and are gone in this new world! Armed with the profound literary knowledge of his previous world and a heaven-defying Game Ring that gives him magical items, stats and skills, Zhang Ye embarks on a journey to pursue his life-long dream of becoming famous! Follow Zhang Ye as he takes the new world by storm, one plagiarized piece at a time, to hilarious reactions! 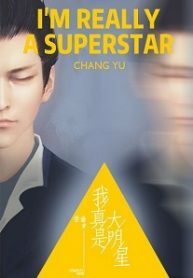 You’re reading chinese web Novel “I’m Really a Superstar” on BOXNOVEL.COM. We will have 1695 Chapters (Hiatus). Thanks!